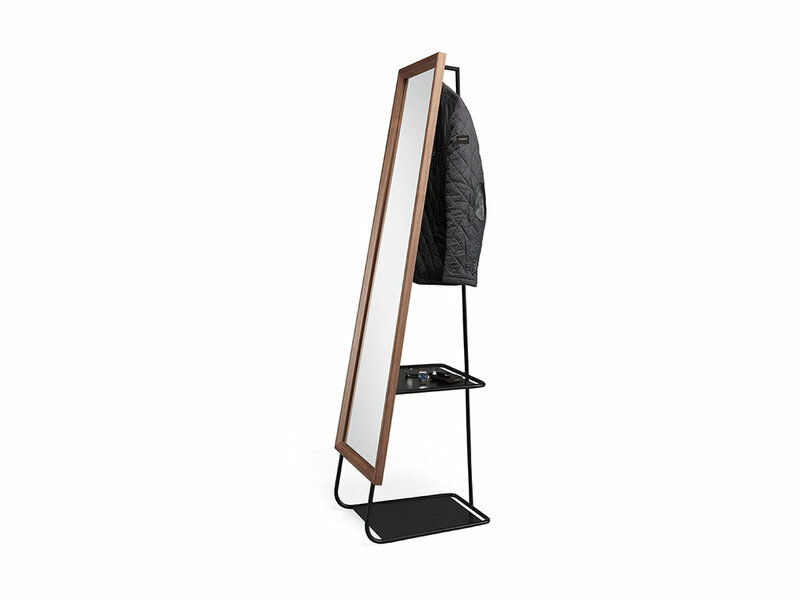 Hide & Seek is a freestanding mirror, with a solid wood frame and a coated steel structure, designed to integrate new features. A multi-functional piece designed especially for the sleeping area. Its steel structure stands the conical wooden mirror frame, and at the same time hides and evolves new functions in the back like hanging coats, store shoes and small personal belongings. 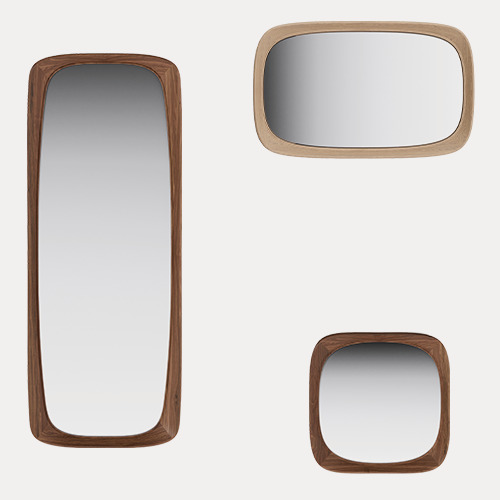 Hide & Seek is a singular mirror that complete with elegance the look of the living space.